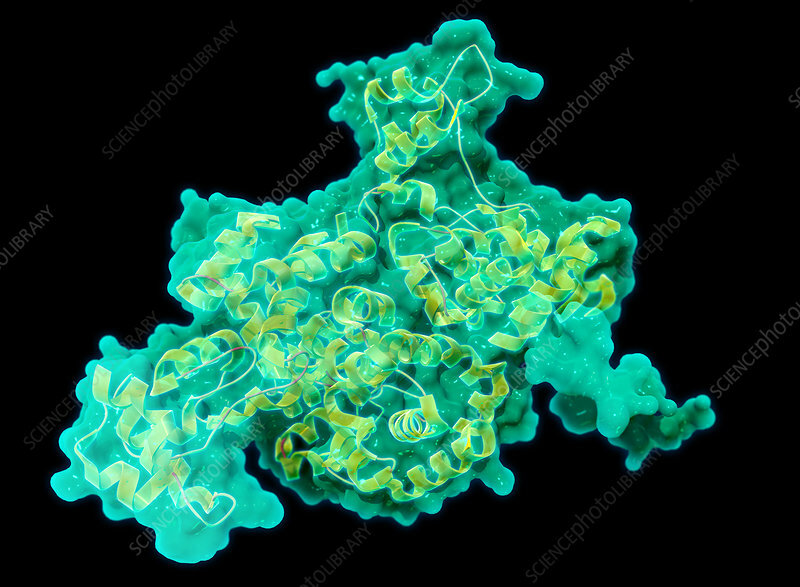 A molecular model of bacteriophage SPN1S endolysin, an enzyme produced by a virus that specifically infects bacteria, known as a bacteriophage. After a virus replicates inside it's host, endolysins break down the host bacterial cell wall and release the new viruses to infect other cells. Endolysins may aid in fighting antibiotic-resistant bacteria due to their high specificity towards target pathogens, rather than normal, healthy bacteria.